When we are talking about CI/CD (Continuous Integration/Continuous Delivery) many times the concepts are considered more ‘philosophical’, forgetting about how to put them into practice. 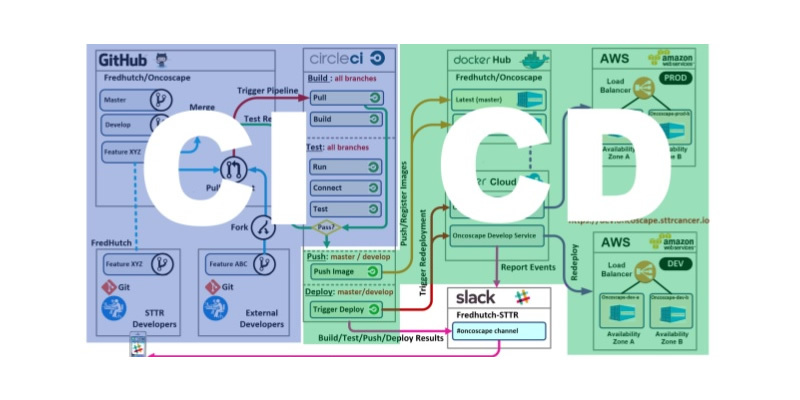 In this blog we exactly want to present you an approach of how to put into practice a basic CI/CD flow. It is very important to understand the CI/CD basic flow for a Software Development project, because at the beginning it may look confusing to know what step leads to the next one, what should be done in every stage, or what element is responsible for what task. Among others, on the project. This build depends on the type of project: we can have Front-End or Back-End projects. For this example we are going to work with Java. 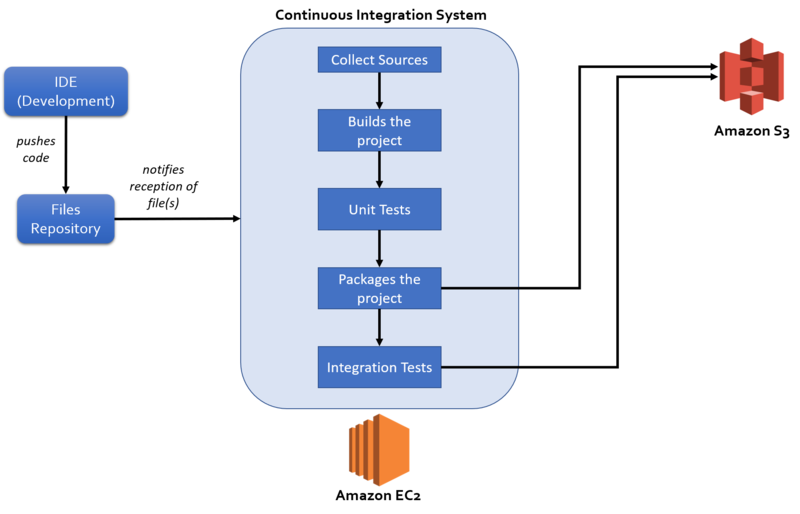 If the build was successful without any error, Jenkins generates a container and this container can be uploaded to Amazon ECR. On the contrary, if there’s any error, the process won’t make it until ECR. It’s up to the Developer how often to push to the repository (from his/her IDE). In the previous image the file Jenkinsfile specifies different build stages. Every stage must be successfully executed before the next one starts. The first stage is the ‘checkout’, in this one Jenkins collects all the sources modified by the repository once GitHub informs a new ‘Push’. With this command, from the source code, we generate the .class Java files (which will be later interpreted by the Java Virtual Machine). An example of an integration test could be to do a request to a REST API and verify that the response is always the expected one (call the API providing an argument and compare the response). For this point a temporary Docker container is used, which lasts only during the execution of the integration tests. When the integration tests complete successfully, the final deployment is performed. The ‘deploy’ consists of taking the image recently generated and take it to the images repository (in this case Amazon ECR). In the previous example, this deployment is being done in an UAT environment, the last step before going into production. In each stage of the build we can see its duration (in milliseconds or seconds). Jenkins also shows the average duration for each stage in the whole project. 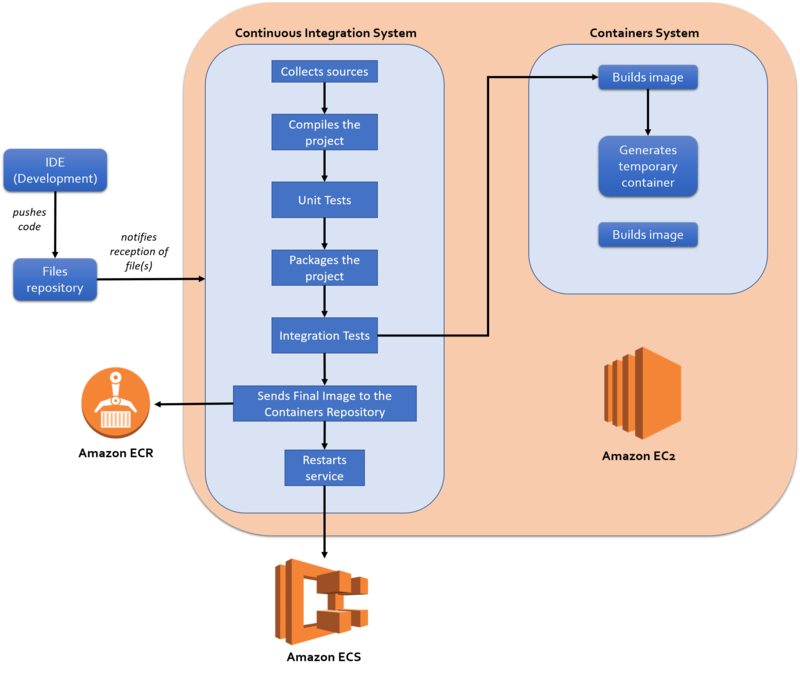 Once Jenkins sends the new image to Amazon ECR, Jenkins restarts the service so ECS can detect the new image (the currently available containers instances start to finish, and new instances begin to launch). In the previous image there are several services inside the cluster. Each one of those services (for this example) has an instance in execution because they have been configured for that number of instances as desired. Once the service has been restarted, you can access the differents options the developed software may have. For example, if the project is a REST API you could start to make requests to this API. It is important to highlight that the only ‘human’ step was done at the beginning, when the Developer sent his/her code (‘push’) to the files repository, and this single event triggered the rest of the automated process. The only concern was to do his/her code good, execute the unit tests (make sure they didn’t fail, these tests are important to avoid unnecessary execution of the automated process) and that his/her code compiled correctly. From there on the Developer can ‘forget about’ what’s happening. 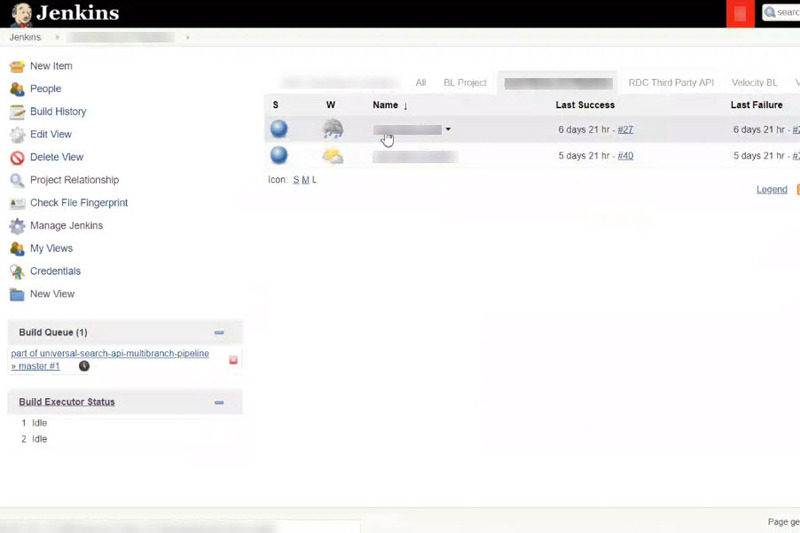 Jenkins allows to configure email notification for some events. For example if the build failed, the Developers Team can be informed, to someone responsible for this stage. This allows a constant feedback to the Team so they can make the proper checks. Once all stages are executed, the same Developer could check the last version of his/her current development. For example, if it’s about a new icon in the website, this one could be checked at the end of the whole process (there are automated tools to check ‘Front-End’ developments).